NSF Grant – Tibbar Plasma Technologies, Inc.
On February 1st, 2019, Tibbar Plasma Technologies, Inc. received a Small Business Innovation Research (SBIR) Phase I grant of $224,780.00 from the National Science Foundation to develop a plasma heat engine for efficient production of fusion energy. Over the next year, Dr. Richard Nebel will be exploring the properties of oscillating plasmas with the goal of creating an experimental fusion device. 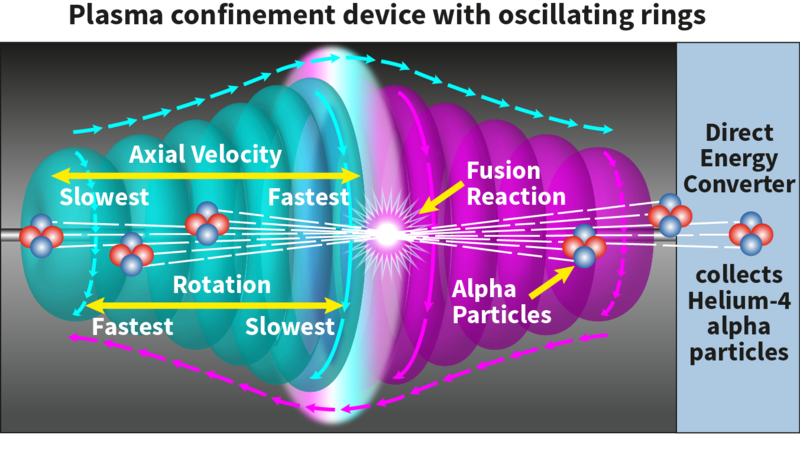 The ultimate goal of this project is to produce aneutronic fusion energy in a system that is small, simple and inexpensive. This system will produce power that is as clean as renewable energy while simultaneously removing the need for energy storage that is required for intermittent sources like wind and solar power. Since the system is small, axial, and aneutronic (using fuels such as P-B11), it also has applications for manned space flight. The low radiation levels allow for minimal shielding along with high power density. This could enable more direct flights to other planets, which minimizes the exposure of astronauts to the radiation encountered in outer space.